Just like human babies, puppies are born with no teeth. Their first set of baby teeth, or milk teeth, grow in between 3 and 4 weeks of age. When your puppy is around 4-5 months old, these teeth will fall out to make room for their permanent set of adult teeth. By 5-7 months, all the adult teeth will be present. It is important to note this can vary depending on the breed. This means that puppies experience teething twice, once for their milk teeth and again with their adult teeth. 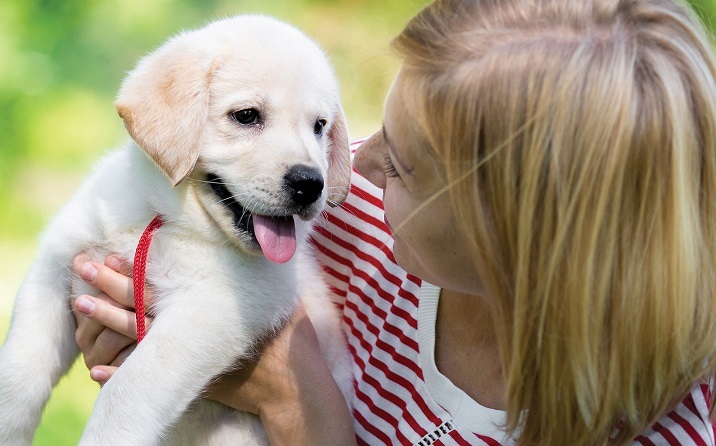 While teething is generally not a painful process for your puppy, they may experience some discomfort in their jaw at this time. 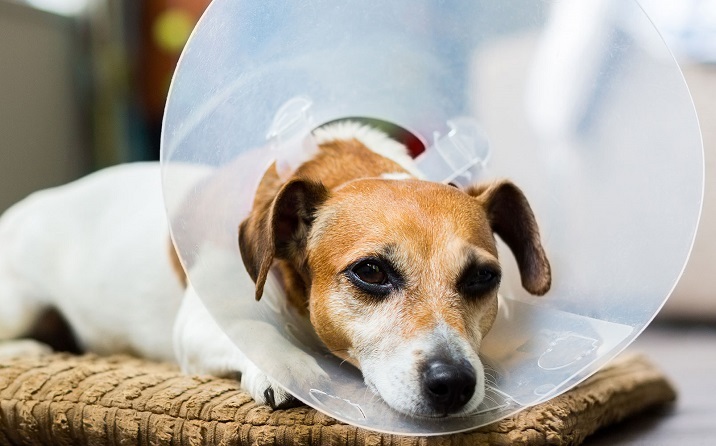 The best way to help them alleviate this is to provide your puppy with specifically-designed soft chew toys. This will also prevent unwanted chewing of other objects around the house. Some puppies experience a slight fever while teething which should be monitored to ensure their temperature does not climb too high. 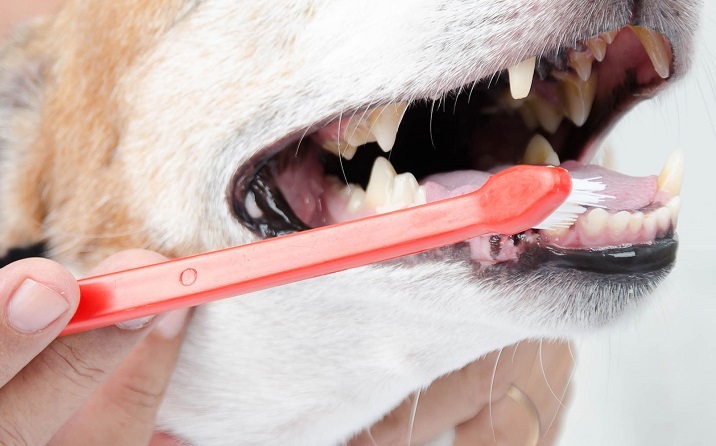 While teething often involves some bleeding from the gums as your puppy’s sharp teeth emerge, if you notice a large amount of blood, immediately seek professional assistance from your vet. 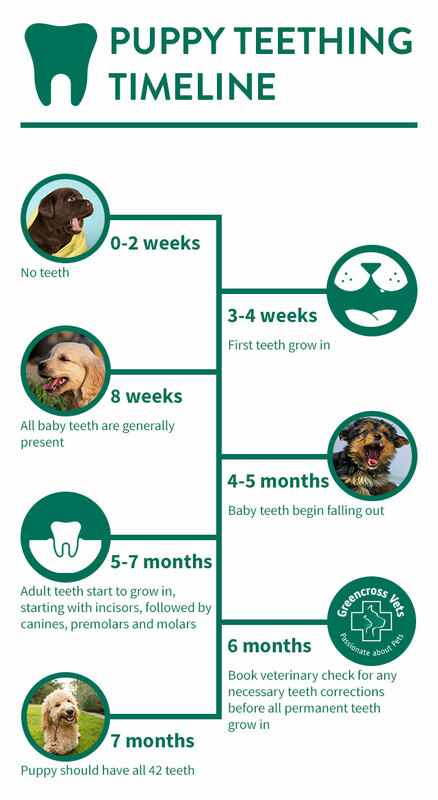 Before all your puppy’s adult teeth have grown in, you should book them in for a dental appointment at your local Greencross Vets for a precautionary checkup.